Isn’t there a way to quit Kratom without suffering withdrawal symptoms? The idea of tapering, or weaning is an idea as old as time. Moms wean their babies off of breast milk just like doctors wean their patients off of medications. Tapering down a Kratom dose is more similar to the second example, but why does it work? Our bodies are amazing at adapting to their environment. If you spend a lot of time out in the sun, your skin develops a tan which allows it to handle sunlight better. If you start lifting weights, your body grows muscle to make you better at lifting. No matter what you do, your body is always adapting. It’s no different when someone takes Kratom regularly. When someone takes Kratom every day, their body adapts to having Kratom in the system. This is exactly why someone who noticed great effects at first will see diminished effects over time as long as they take the same dose. This leads many to take more and more Kratom. The more Kratom they take, the more their body adapts to it. Over time their body grows accustomed to having large amounts of Kratom in the system. People who take Kratom for a long time tend to slowly raise their dose to keep on getting the same effects. When they stop using Kratom, all of the sudden their body is immediately out of balance and this is where withdrawal symptoms come from. I go more into depth on this subject in this article about Kratom tolerance and withdrawals. For the purposes of tapering Kratom, this knowledge is enough to continue. 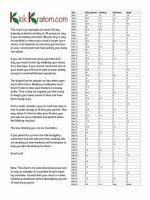 This chart can take someone from 30grams a day to 0 in just 60 days with little to no withdrawal symptoms. Answer a few questions and download it for free. No personal information required. Why Does Tapering Kratom Work? This whole idea is very simple if you think about it. You have been taking Kratom for a while, right? Chances are you are taking a lot more now than you did on the first day. Tapering, or weaning yourself off of Kratom is simply undoing what you did in the first place. To get to where you are now you slowly increased the amount of Kratom you take day after day. To undo what you did, you must do the opposite and reduce your dose a little bit day after day until you get to where you want to be. Growing up I was always very interested in drugs and their effect on the brain. This curiosity led to many late nights spent huddled on the couch with my smart phone reading websites like Erowid.org and Bluelight. I’ve always found it extremely fascinating how drugs could alter the perceptions and behavior of people. Anyway, my point is that I’ve lived this stuff, so I know it works and I know it can work for you. How much Kratom do you take, exactly? It’s critical for you to know exactly how much you take on a daily basis. If you are anything like I was, you are scooping the Kratom into your mouth with a tablespoon. Each dose is different and it’s a rollercoaster of feeling great and feeling like crap. I hope you’re a little more in control than that, but if you aren’t, you’re in the right place! So, step one is measuring your usage. The absolute best way to do this is with a digital scale. 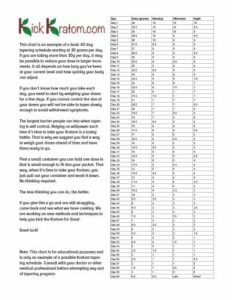 Measuring in grams how much you take each day is the most scientific and accurate way to measure Kratom. A measuring spoon is the second best way. If you are using the same brand and strain of Kratom all the time then you can do a taper with a measuring spoon. The main issue with this is the density of the powder. Some spoonfuls are twice as dense as others. This can be troublesome when you are trying to taper down your dose. So, get a spoon and a digital scale and start measuring how much Kratom you take. It’s the only way to get started and critical for each step that follows. How much Kratom are you taking per day now? How long do you have to quit? What is your goal dose? There are many methods people suggest for reducing your dose. A common rate of dose reduction is .5 grams every day or every two days. As long as you go slow enough to avoid pain, then you’re doing it right. Once you have a plan of attack, there’s one more thing you need before you can get started. Side-note – Who Will Hold You Accountable? Accountability is a very important piece to this puzzle. Is there anyone close to you that you can confide in who will help keep you on track with your plan? If you keep this whole thing a secret it will be too easy to slack off and not follow your plan as closely as necessary. This will result in you not being able to taper your dose and could leave you addicted to Kratom for longer than you would like to be. Nobody wants that, so find someone to confide in and get some support behind you. If you don’t want to get anyone from your personal life involved there is an amazing community on Reddit who will help keep you accountable. While an anonymous internet personal might be easier to squirm out of than a personal relationship, it’s far better than nothing and a great place to start. I recently added a forum to this website so you can share you experience and give and receive support with others that are going through similar trials. It’s always easier to do it together. Support your fellow Kratom Kickers. Get the extra support and accountability you need to assist your Kratom taper. Alright! If you’ve followed these steps then you have all the pieces in place to execute your taper and get off Kratom withdrawal symptom-free. Now it’s time to hit the ground running. 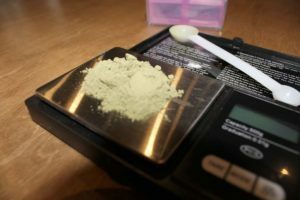 Hopefully, you have an accurate way of measuring your Kratom doses. We recommend a digital scale and a measuring spoon. Whatever way you choose to do it, it’s important you stay consistent. We recommend putting together a little kit so you have everything you need to make it easy and streamlined. Decide how much you will reduce your dose every day or every other day. When you get it all together you will have 7 days worth of doses measured out with each one broken into halves, thirds, or quarters. Kratom has an average half-life of 6 hours. This means that after about 6-9 hours the effects of Kratom will wear off. This is why it’s important to break your daily doses into halves, thirds, or quarters. It really is that simple and there are a few behind the scenes reasons why this method is especially effective. It’s totally possible to wean yourself off Kratom in a less controlled manner, but it comes with its downsides. 1. If you don’t measure out your doses ahead of time, then you are relying on your willpower and self-control each time you take Kratom. If you are like the average human, you will have slip ups and end up taking more than you should. When you pre-measure your doses ahead of time it becomes much less likely that you will slip up like this. This whole method is even more effective if you have someone else measure your doses for you. 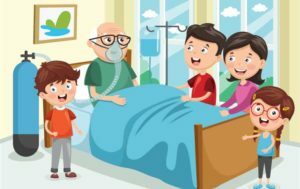 If your loved one is in charge of your Kratom usage to help you quit, they can give you a 3-dose container each morning forcing you to take no more than your allotted amount of Kratom. 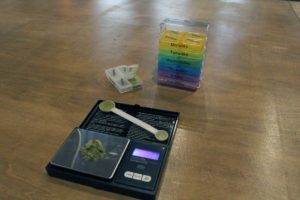 Similar to the last point, using this method of measuring out all of your doses ahead of time and putting them in individual container takes most of the thought out of it. 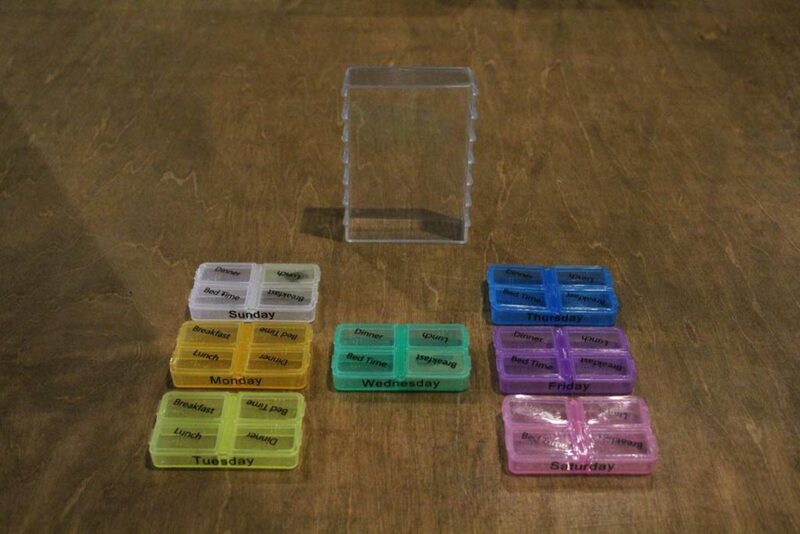 You no longer have to think about how much you should take or whether or not you should take more. You just pull the container out, open the flap, and take your Kratom. Part of being addicted to a substance is the ritual, or habit, or using it. If you follow this method you are taking as much of the ritual out of it as possible. Jumping Off – Is Quitting Part Way Through a Taper a Good Idea? A lot of tapering methods talk about getting to a jump off point. A jump off point is when you have reduced your dose enough that you can handle quitting completely. For some, this might be the way to go. If you are tapering your dose down and have got to a point with the withdrawal symptoms are something you can handle, then jumping off can work. The problem I see is that you run the risk of relapsing. Relapsing is when you go back to using Kratom the way you were before you started your taper. For those who are worried about relapsing and are having a good experience using the tapering method, I recommend you keep tapering until you get down to zero. This way you won’t have to worry about experiencing the withdrawal symptoms that come from quitting with a kratom tolerance. The Kratom taper is perfect for someone who is ready to quit and no longer believes Kratom is solving the problems it was when they first started taking it. This person has a high tolerance and therefore experiences powerful withdrawal symptoms that make it hard to function when they aren’t on Kratom. If the withdrawal symptoms went away, they would stop taking Kratom and never look back. See, tapering takes care of the physical part, but it doesn’t take care of the mental part. If you are taking Kratom for anxiety or depression then getting rid of the Kratom still leaves you with a huge problem. Does this sound familiar? If Kratom is being used as a crutch to solve some other problems, then it will be a lot harder to quit. But, once you figure out how to solve those issues in another healthier way, you can drop the Kratom and move on with your life. When that time comes, taper your dose. Let us know about your thoughts and experiences with tapering Kratom in the comments below. The information contained on this website is for educational purposes only and is not intended to be a substitute for professional medical advice, diagnosis, or treatment. Always seek the advice of your physician or other qualified health provider with any questions you may have regarding supplements and drugs like Kratom. Come check it out and share support with your fellow Kratom Kickers! Together we can kick this habit and get control of our lives back!